Luxury cotton pyjamas for girls in a pretty pink butterfly print. 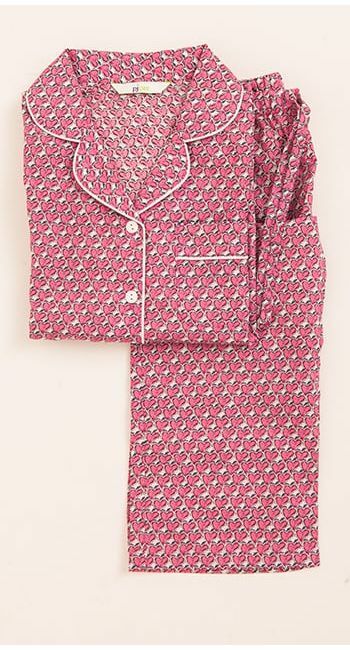 These beautiful pyjamas are finished with pale pink piping and real shell buttons. Lightweight cotton so perfect as summer pyjamas or for children who get hot in the night. Women's pyjamas available in the same fabric if you're looking to buy matching mother and daughter pyjamas.